The topic of today’s lesson is reclaiming folks who have left Adventism. It is interesting how the author ascribes motives to people who have left Adventism with little evidence to bolster the assertion. He claims that people leave not for doctrinal (read: substantial) reasons, but for personal dispute (read: unsubstantial/shallow) reasons. Some data was recently collected via survey from former Adventists, and it can be seen here: http://arthurandteresabeem.blogspot.com/2011_12_11_archive.html. Specifically, 86% of the total sample (200+) respondents indicated that they left Adventism because the doctrine did not line up with the Bible. Please note that random sampling methods were not employed for this study; however, it provides some evidence that there may be a significant number of members who are leaving over doctrinal differences. As the internet continues to supply members with unfiltered, independent information and provides opportunities for former Adventists to bond with others who are in the same process, we may see an increase of individuals in this category. Individuals who leave Adventism because of apathy. No one in the church really offended them, and they didn’t have a personal dispute with another member. They simply don’t feel like the church and its doctrines are meeting their needs or are relevant to their lives. Individuals who leave Adventism because they have systematically studied the doctrines and found them to be contradictory to Scripture. I do not know which of these groups is larger; but it seems a tad presumptuous of the author to assert, with no supporting evidence, that most folks leave because of 'personal disputes’. However, it is unfortunately not all that surprising because this tactic fits very well with the mindset in the leadership whose goal is to keep as many people from questioning the doctrine as possible. This is classic behavior that is seen in religious sects, who attempt to control the narrative and the information to which the members have access. 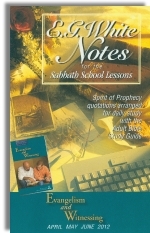 One salient example is that Adventists study the Bible primarily through their own Sabbath School lesson materials in which each Biblical concept is filtered through the lenses of Ellen White’s interpretation. There are quite a few psychological tactics for ensuring that people think and act within a group’s rules and norms, and it would seem that the author is engaging in one of these strategies when he asserts that most folks do not leave over doctrine. The underlying assumption is that not many folks leave for substantial, rational, or intellectual reasons. Instead, they leave for superficial reasons. This sends a powerful message to the rank-and-file Adventists in the pews—intelligent people don’t leave this organization. And when they do, it is for relatively illogical reasons. Somehow, Adventism indoctrinates its members to assume that it’s the less-intelligent ones who will be leaving the organization. However, if an educated person does leave for well-thought-through reasons, then they take comfort in Ellen White’s statement that the bright lights will go out at the end of time. 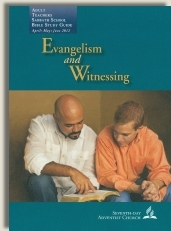 Thus, Adventism presents to its members an airtight case that eludes falsification and discourages members (particularly young people) from: (a) asking questions, (b) thinking for themselves, or © exposing Adventist doctrine to rigorous questioning. The fact of the matter is that none of us should have to resort to controlling people’s thoughts or the flow of information because truth will always survive tough scrutiny. Personally, when I was growing up, I recall just how former Adventists who studied their way out (and remained Christians) were spoken about by the members. Formers who studied out were not at all respected and were considered to have engaged in the highest form of treason. They were intermittently pitied and derided as being deceived and irrational; and all the Ellen White quotes would surface regarding the fate of those who once knew the Sabbath truth but rejected it outright. The message was clear. If you wanted to be a respected, intelligent individual, you do NOT, under any circumstances, break ranks. Folks raised in this kind of Adventist environment and later are forced to follow their conscience and leave Adventism because they cannot reconcile its teachings with the Bible can suffer for years with emotional and spiritual scars. So I suppose in a sense the author is correct—many individuals who leave SDA are emotionally wounded but not for the reasons he specifies.